We seek to maximize investment in the nonprofit workforce. Indeed, investing in the nonprofit workforce is the best thing we can do to increase performance and impact across the social sector. It is also a matter of ensuring social justice within the very organizations that work for social justice out in the world. We invite you to join us in this important campaign! There is a gaping deficit of investment in the nonprofit workforce. Foundations use only 1% of grant dollars to support staff development in grantee organizations, and nonprofits have little incentive or capital to invest in their people. The investment deficit creates a bottleneck in nonprofit leadership. Too many diverse, talented leaders never join the field, remain stuck in neutral or simply burn-out. This situation is an existential threat to nonprofit performance, impact and sustainability. We need to replace the old myths of overhead and martyrdom with a positive new mindset that lifts up the dignity and powerful contributions of nonprofit workers. And we need to make talent-investment a widespread practice in grantmaking, fundraising, and nonprofit management. We deliver ideas, research, and practical guidance through our Toolkit. We educate and train through in-person and online events. And we build networks, partnerships, and conversations across the field. Our staff and consultants are diverse, experienced leaders around the U.S. Our advisory council is a coalition of diverse stakeholders concerned with supporting the nonprofit workforce. Our work is generously supported by a growing number of foundations and by donors like you. Every contribution helps. We invite you to make a donation today or contact us to discuss your interests. We show how investing in the nonprofit workforce yields improved performance, impact and sustainability at the individual, organizational, and field levels. We encourage and support funders and nonprofits to integrate talent investing into their grantmaking and fundraising practices. We organize among our colleagues and spread enthusiasm for the nonprofit talent agenda. We offer the most comprehensive guide for maximizing investment in the nonprofit workforce. 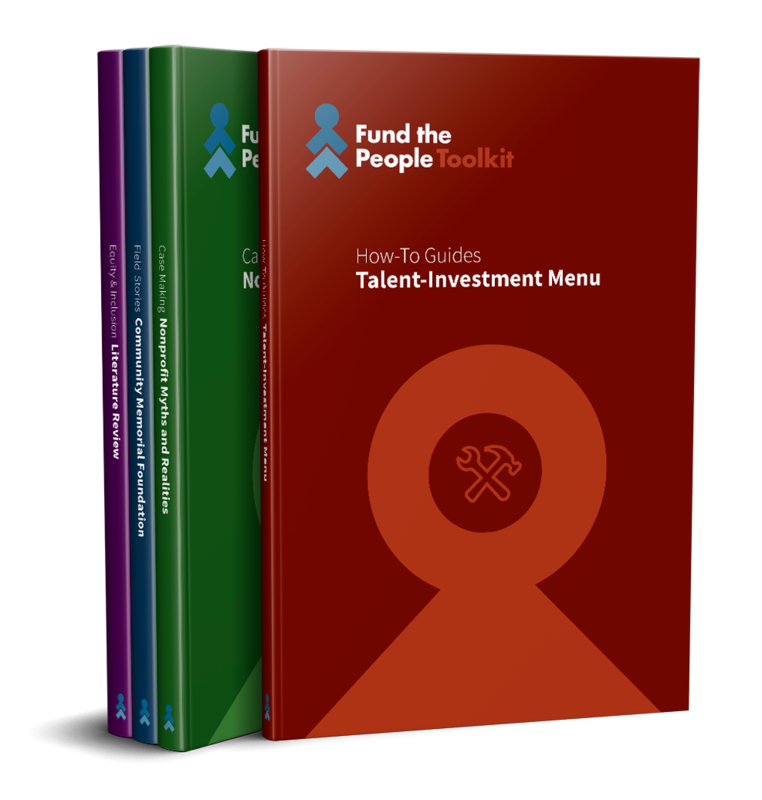 Our free, interactive toolkit helps you make the case for the value of investing in nonprofit talent, and supports you to advance your mission by integrating “talent-investment” into your work. Use the toolkit today and share it with your network! 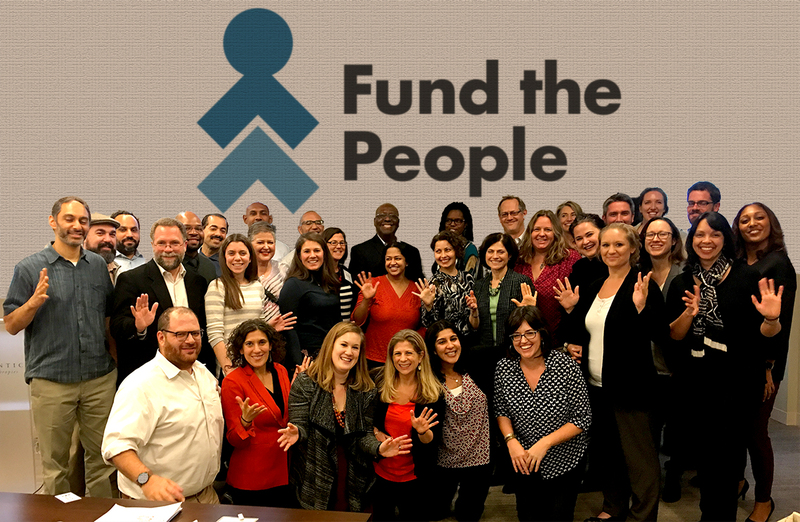 Fund the People’s Talent Justice Initiative addresses talent-investing and intersectional racial equity at three key stages of the nonprofit career life cycle – access to careers, advancement to mid-level management, and ascension into executive leadership and management.